What’s your favorite beer? 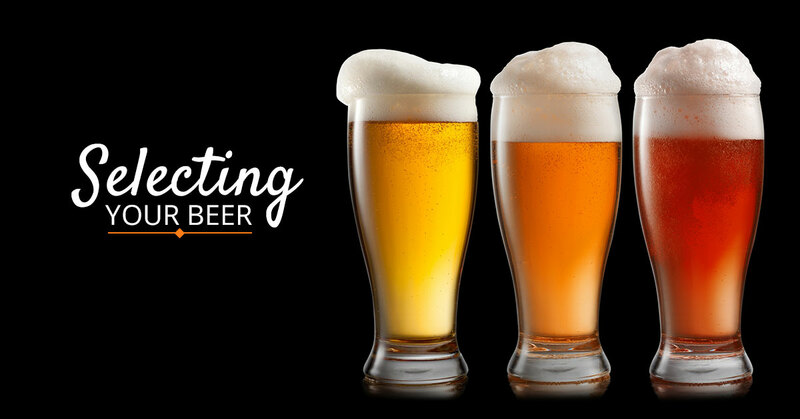 We at FIREBREW Bar & Grill know how tastes can vary from person to person, which is why we proudly offer all your favorite brews on tap! If you aren’t sure what to try, we’d like to give you a brief description of our favorite types of beers. When you’re ready to try one in person, stop into FIREBREW for the most satisfying and thirst-quenching happy hour in Virginia Beach. Stouts can actually vary quite a bit in flavor, so it’s important to pay attention to what type of stout you order. Some are dry while others are sweet. Stouts can be made with coffee, chocolate, plum, currant, or roast flavors, but what really makes them stand apart from other beers is the maltiness that is balanced with the hops. Even if you aren’t a big fan of traditional stouts, such as Guinness, you may still want to give other stouts a chance. Chocolate stouts can taste similar to a chocolate malt with some alcohol flavoring. Wheat itself does not hold much flavor, which allows for the yeast added to provide most of the flavor. The “wheat” portion more so indicates how the beer is going to feel: silky and smooth. However, the wheat does add a bit to the flavor in regards to the light sweetness and a little bit of tang that is present in all wheat beers. These beers usually have a thick, fluffy head, as well. Pilsners are a type of lager that are lighter in color. They can vary in shade from the color of light straw to golden, but it depends on the brew you choose. These beers have a strong hoppy flavor with spicy floral flavors, as well. Lagers are really an overarching beer type, while the other is an “ale.” The difference has to do with the fermentation process and what type of yeast is used. Lagers use “bottom-fermenting” yeasts, which means that the yeast ferments at the bottom of the fermentation container. Lagers are also usually brewed at cooler temperatures than ales are. This results in a flavor that is more crisp and clear than ales. These beers are a bit more complex, and it’s rare that a new beer drinker will enjoy the flavor of an IPA from the start. Enjoying these beers can take some time. Drinking an IPA will cause you to experience many flavors, including bitter, sour, and sweet. There may be a combination of these flavors, but you can bet that the other flavors will come through, regardless of whether they are grapefruit, pine, roses, etc. No matter what sort of beer you are looking for, we are sure that we can recommend one to meet your tastes and expectations. Give us a try for happy hour! We can’t wait to share all our incredible drink options. We offer beer on tap, bottles, cider, and red wine to match the needs of anyone looking for a soothing drink. Contact us today if you have any questions, or just stop in and see us to order a beer or two! We will see you this afternoon for happy hour!